Take That were this brilliant, amazing, awesome, excellent British band. 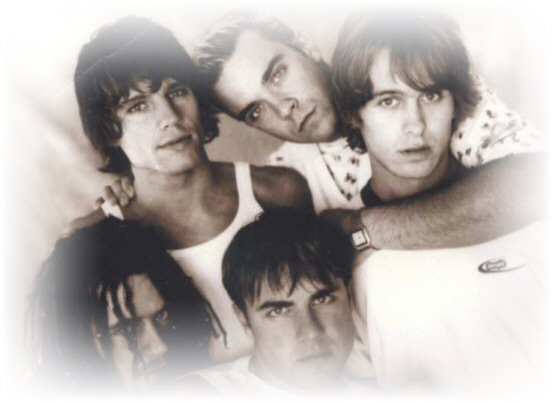 They originally started out with 5 members - Gary Barlow, Robbie Williams, Howard Donald, Jason Orange and Mark Owen. They were huge in Europe, Asia and Australia, but would remain virtually unknown in North America until they had released a song called "Back for Good", which did really well in North America. Unfortunately at this point in time Robbie had left the group and shortly after Take That disbanded. That had to be one of the saddest days for me, because one of my favourite bands who had been hugely popular and successful, and had put together great music suddenly decided to split up. Take That had made such an impact with so many fans and they will forever endure in our hearts. Take That had been so dear to me because they had come at a time when there was nothing in music to get excited about I think. Then came this great band, who were funny and made amazing music. They had massive success with songs such as "I Found Heaven", "It Only Takes A Minute", "Everything Changes", "Pray", "Babe", "Love Ain't Here Anymore", "Back For Good", "Never Forget" and "How Deep Is Your Love" (a BeeGees cover which will always remain bittersweet for so many fans, because that song was their final release). I will never forget the day when a friend of mine left a message on my answering machine saying the rumours were true and that Take That had announced they were splitting up. They put out 4 great albums - "Take That and Party", "Everything Changes", "Nobody Else" and "Greatest Hits", which fans will still be playing for years to come. Since then, Robbie Williams, Mark Owen and Gary Barlow have gone on to become very successful solo artists. And Jason has done some acting. No one's really heard what Howard's been up to. But no doubt the band has left a lasting legacy and their footsteps will be hard to follow. I became a Take That fan back in 1993. A lot of my pen pals had been telling me about them and how great they were. At that time they weren't big in Canada, so I had never heard any of their music, never seen them, etc. Then my friend sent me a copy of their first album, and I became a fan right away. I just loved the type of music that they did. It was so energetic and fun. And when I saw them on Canadian TV, during their promotional visit in 1993, I was so impressed. 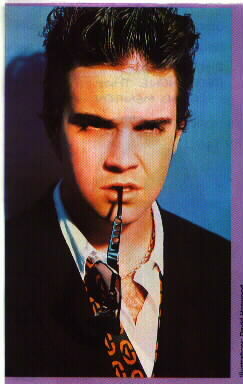 Robbie had always been my fave, so I was upset when he left the band. I have tried keeping up with their solo careers now. Robbie and Mark have gone on to do music that is very different from Take That's music, but their music is still brilliant!! !